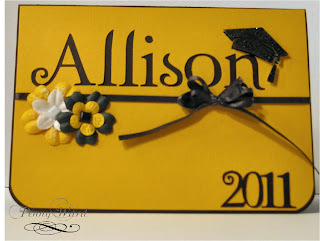 Cut name and year with Silhouette, as well as the grad cap. Used Black stickles and dimension adhesive on cap. I love that you personalized this for her :) Thanks for playing at CAS-ual Fridays! Nice! 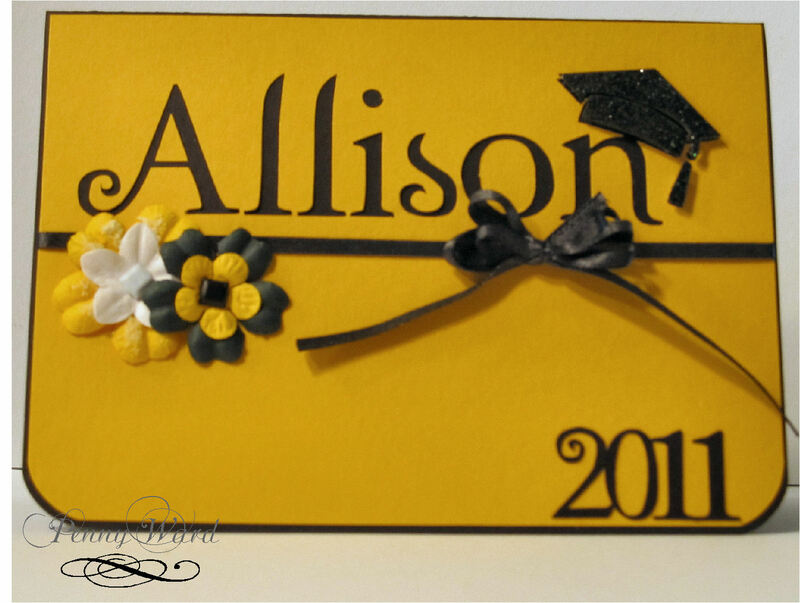 How special will Allison feel when she sees that you've personalized her card just for her?! This is just amazing! Thanks so much for playing with us at CAS-ual Fridays! 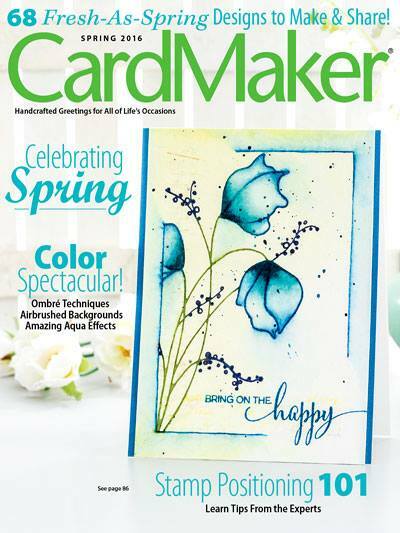 Hope you'll join us again! This card is great, I love the personal touch!